Every kind of physical activity has a positive influence on our psycho-physical health. Yoga is particularly useful because it represents a combination of movement, balance, and the quest for some inner peace. This practice is highly beneficial for your mind. The fans of healthy and non-stressful life think of yoga more like a philosophy than physical training. 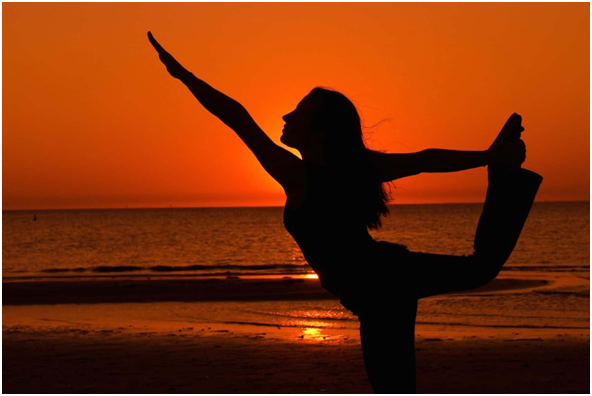 The truth is that yoga is not based only on body movements that will help you burn calories and keep you in good shape. This way of training includes a combination of spiritual, moral and pragmatic guidelines to help you establish a stable, happy and fulfilled life. If you do yoga, you know that it is an excellent anti-stress therapy. According to CBGNA, it takes just a few minutes to spend in a position (asana), to regulate breathing and clear your mind of negativity. The energy flow that affects your mood is much better when you’re more relaxed. It is known that every physical activity has a beneficial effect on the brain, as it improves the overall circulation in the organism. It means that oxygen can reach every part of the nervous system, and the production of endorphins is stimulated. This so-called hormone of happiness affects our mood. As far as we are in a good mood and less pressed with worries and ugly feelings, our brain will work better and more focused. Breathing techniques that are used in yoga allow the blood circulation of our nervous system to be better. This way, oxygen and nutrients can reach every single nerve cell to enable their smooth functioning. Numerous studies have been carried out to prove that exercising yoga, at least twice a week, has a positive effect on improving brain performance. And the result of the research is quite promising. Some asanas, or yoga positions, require a wide range of movement and body flexing, and this is a way of speeding up the circulation. Learn how to improve your body flow here. Every human, as a social being, has daily interactions with others so they can live, love and function. The energy we spend on the realization and maintenance of relationships must be renewed so we can avoid the state of emotional exhaustion. Some situations can “drive us crazy.” We waste the last atom of our strength and emotions, after which we feel empty.By exercising yoga, our self-control is growing when it comes to reactions and emotional outbursts. It’s a great way to channel our energy and focus it on the right side. The mantras we pronounce as we change our asanas help us to “cleanse” our body and see the world around us more clearly. After establishing the balance of the spiritual and physical, the control of emotions and reactions will come as a result of our will and desire. Depression is a perfidious condition that develops slowly. Even if it’s noticed in an early stage, we deny the disease until its symptoms become severe. Stress and a busy way of life are the major causes, but there are many reasons why depression and anxiety can occur. Symptoms can be both psychic and physical, and the good thing is that yoga can help in both cases. Observed from the biochemical side, mood swings that are characteristic for anxiety occur due to endorphin and serotonin imbalance, as well as to the stress hormones, cortisol, which is elevated in this case. What cause disruption in cortisol level and why it cause depression: https://www.mentalhelp.net/blogs/chronic-cortisol-exposure-causes-mood-disorders/. The smooth and slow breathing, while we do yoga, helps us to relax the muscles and transfer the necessary oxygen to the brain.While we are stretching every part of the body separately, it will turn our thoughts from negative things. 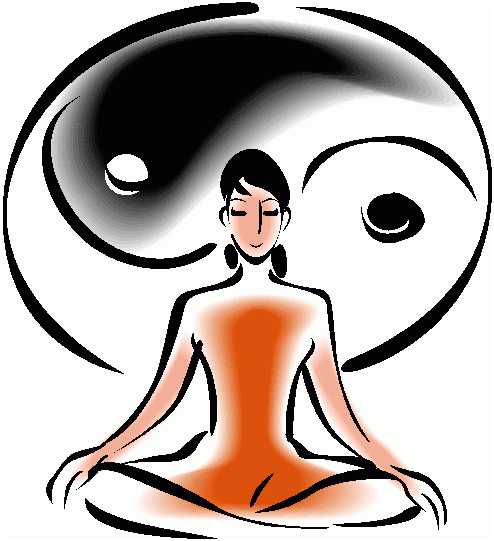 The principle of yoga is to find something good in everything and teach us to think positively. The “opening” of the body helps to eliminate blockages that prevent accumulated negative energy to stay inside our body and “poison” us. The quality of our life depends on us. Even when we can’t change something good or bad that happens to us, we are in charge whether it will affect us or not. Physical activity is a great way to save both physical and mental health; we can dedicate to yoga whenever we have time. And we’ll notice progress very soon.